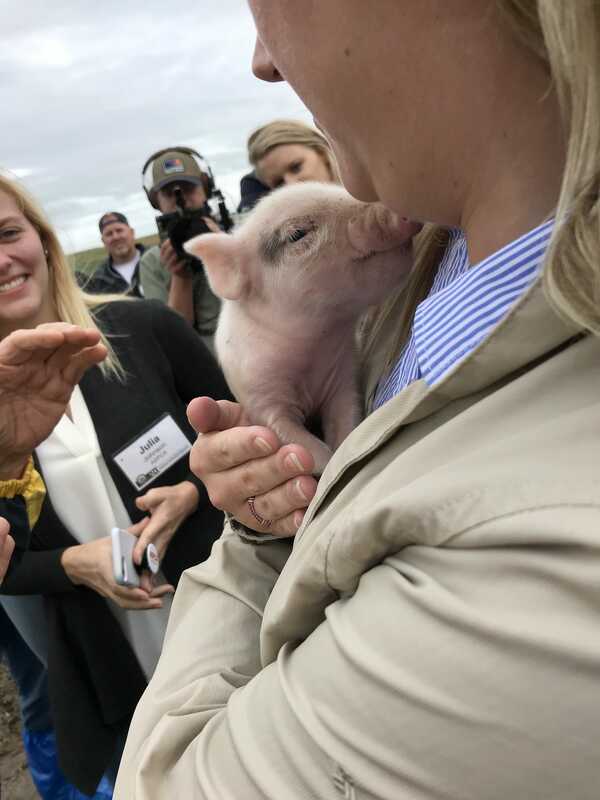 All cheesy jokes aside, if you’ve been following along over on Instagram you will know that a few weeks ago I took a little trip to Niman Ranch in Iowa for their 20th Annual Farmer Appreciation Weekend. For those of you who might be unfamiliar with this awesome organization, let me fill you in! 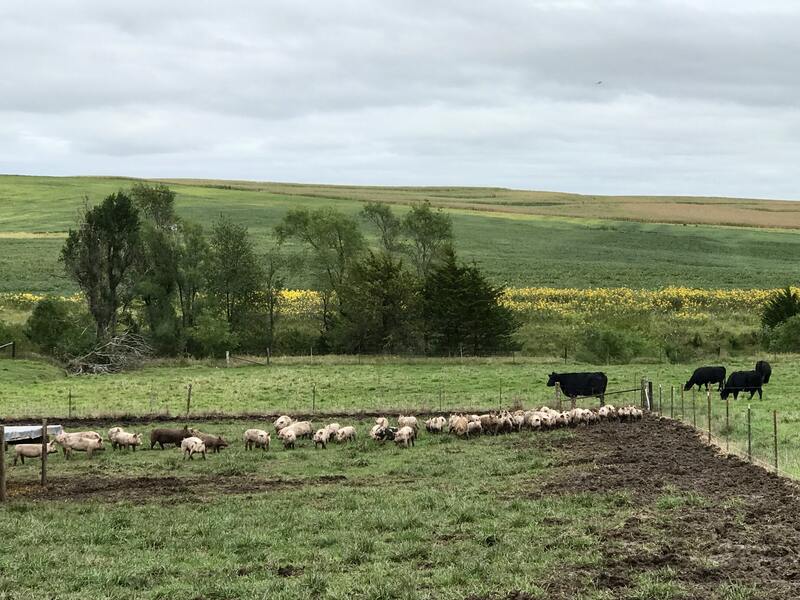 Niman Ranch is actually more than just a single farm – it’s a network of U.S. farmers and ranchers dedicated to raising livestock humanely and sustainably. There are many brands out there that claim to never feed or administer antibiotics or added hormones to their livestock, but I got to witness firsthand that Niman Ranch holds true to this practice. All animals are raised following strict humane treatment and protocols, and they are never given antibiotics or hormones, period. In fact, all Niman Ranch pork, beef, and lamb are 100% Certified Humane. Niman Ranch is so committed to sustainable agriculture practices and supporting small, independent family farmers and ranchers that the organization actually established The Niman Ranch Next Generation Foundation, a (newly created) 501(c)(3) non-profit to provide opportunities for young people in agriculture. Through scholarship assistance, The Niman Ranch Generation Foundation gives aspiring farmers the chance to follow their dreams and distributes these scholarships at their annual Farmer Appreciation Dinner. 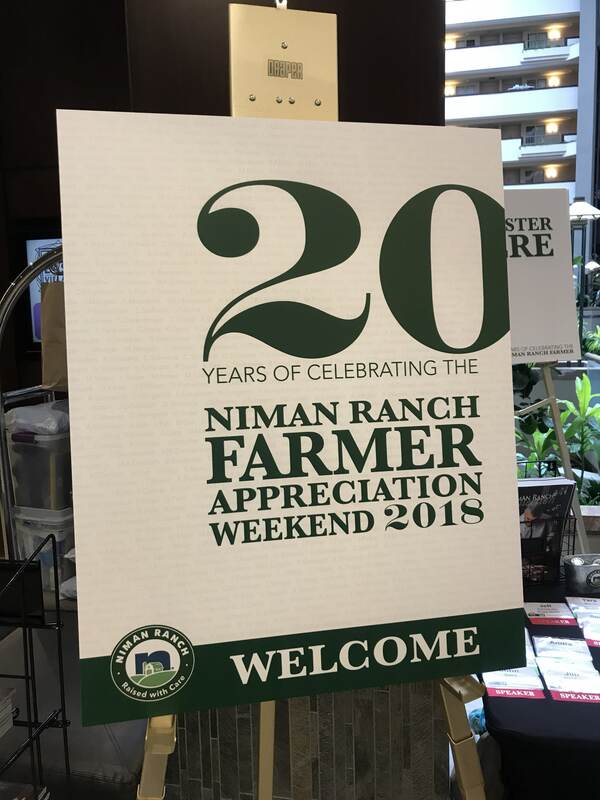 I’m so honored that I was given the opportunity to attend and so grateful for the help Niman Ranch is providing, especially with the recent challenges the agriculture industry has faced. Did you know that 284,000,000 agricultural acres and 3,607,560 farms and ranches have been lost since 1950? In fact, the average number of farms lost per day is 52 – holy crap! 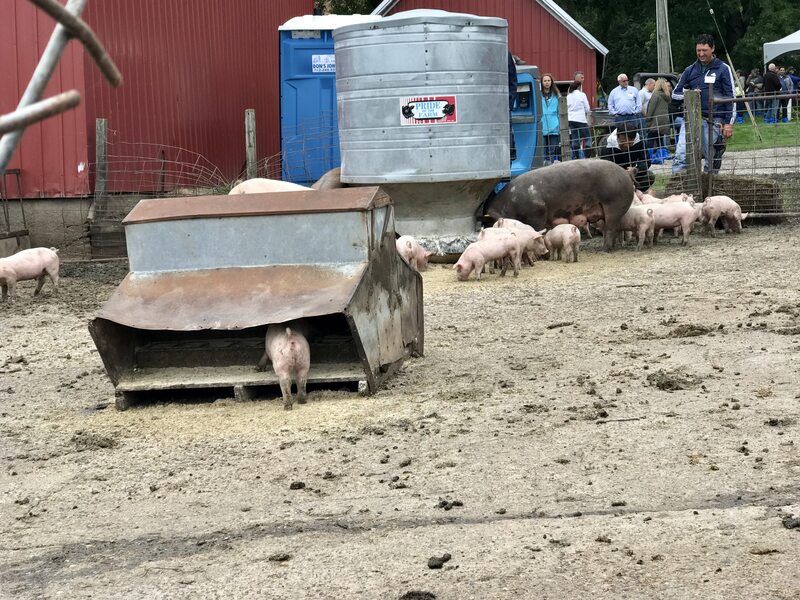 Ninety percent of hog farm operations have been lost since 1977, and it’s an established fact that there are now more prisoners than farmers in the U.S. Thankfully, Niman Farms is working to change these statistics. The organization has partnered with 1,623 hog farmers since 1995, and $1,000,000 scholarship dollars were awarded this year to new farmers. To top it all off, Niman Ranch pays their farmers DOUBLE what commodity farmers get. At Niman Ranch, the piglets stay with their moms for five weeks before they are weaned, and they participate in group lactation with other piglets so when they are weaned, it’s not super stressful. (You also don’t want stressed out pigs because it affects the quality of the meat.) One thing I noticed were all of the different breeds of hogs on the farm – and learned that’s actually desirable for genetic variance. (At commodity farms all of the pigs are the same.) The hogs at Niman Ranch are fed an all vegetarian diet, and they don’t practice tail docking. And while farmers are audited once per year by field agents, they do actually visit up to four times per year to help the farmers with any challenges they may face. 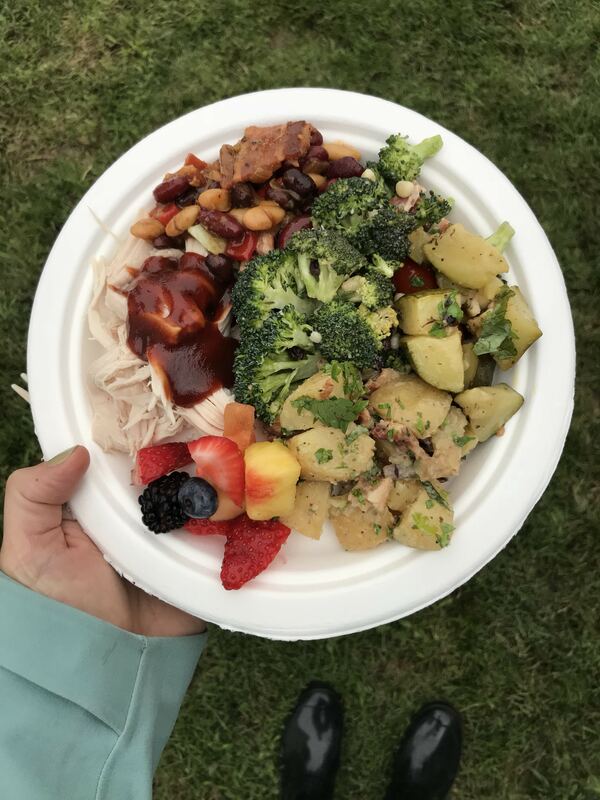 While at the farm, we enjoyed a traditional pig roast, and I had the opportunity to sample all sorts of yummy eats made with Niman Ranch products, including an incredible recipe for Cowboy Beans. I seriously could not stop raving about them! Needless to say, I left ready to create my own ranch-inspired recipe! 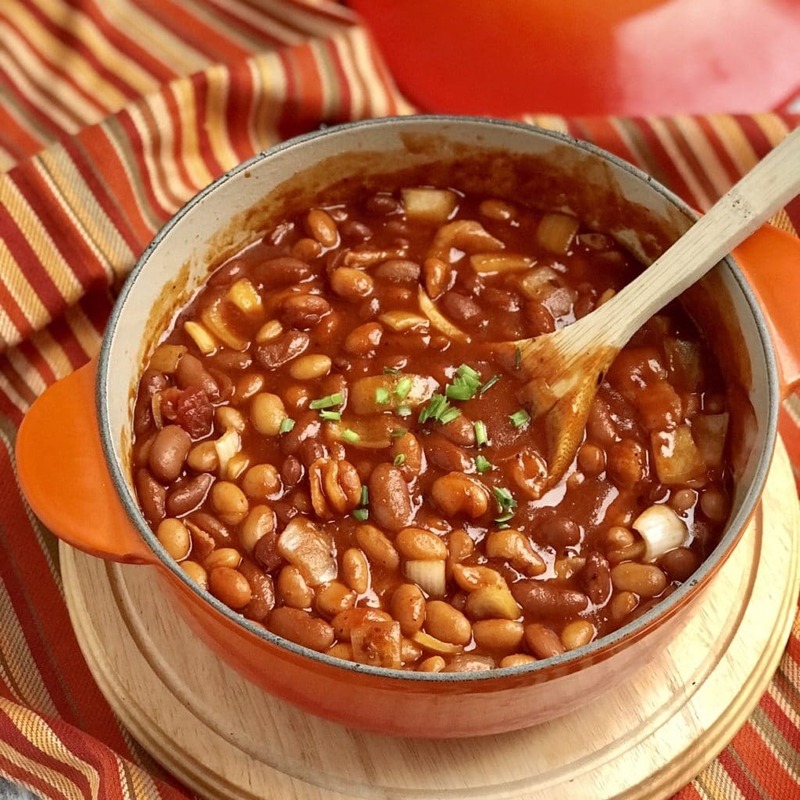 These Easy Cowboy Beans use Niman Ranch all-natural bacon (you can use any of their 7 varieties). I used their Uncured Double Applewood Smoked Bacon, which has no added nitrates or nitrites (so hard to find with bacon! ), no artificial flavors or ingredients, and is gluten-free. It’s literally pork prepared with water, salt, turbinado sugar (and there is a no sugar variety), and celery powder – that’s it! 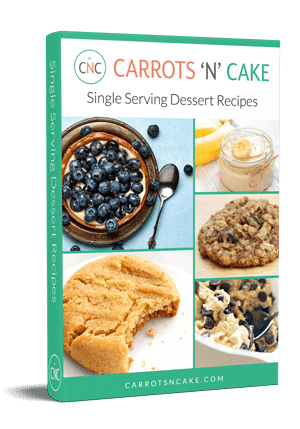 Just like I’m all about food products with a short ingredient list, I’m also all about recipes with a short ingredient list! 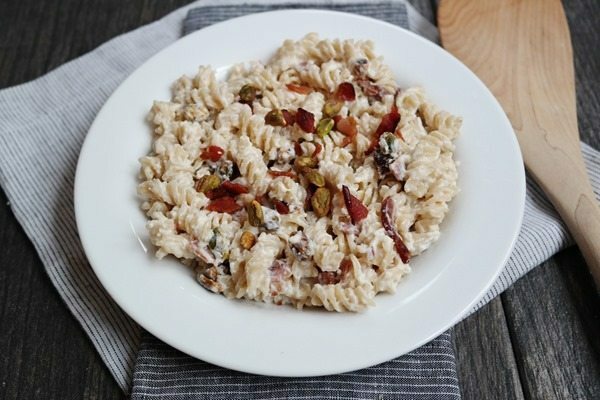 With just six ingredients, including the bacon, this is an easy-peasy one-pot meal that’s just as delicious for lunch leftovers as dinner. The barbecue sauce gives it a nice smoky flavor, while the marinara sauce adds a zesty zing. 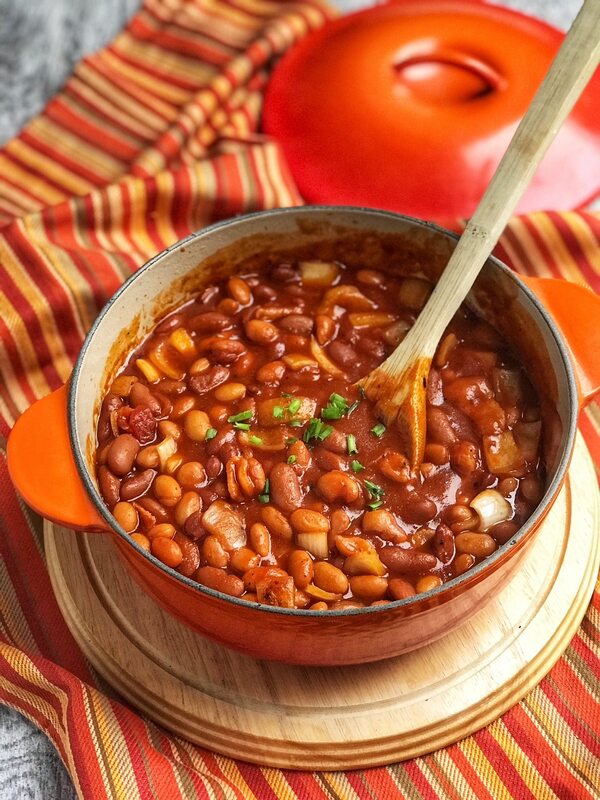 And with both pinto and red kidney beans, this is a dish not only packed with flavor, but also with fiber and protein! 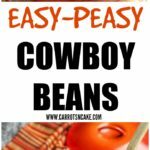 Since it’s so hearty, these Easy Cowboy Beans can be served as a side dish or the star of the show! I think it works great as both an easy weeknight meal as well as a great crowd-pleaser for potlucks and get-togethers! 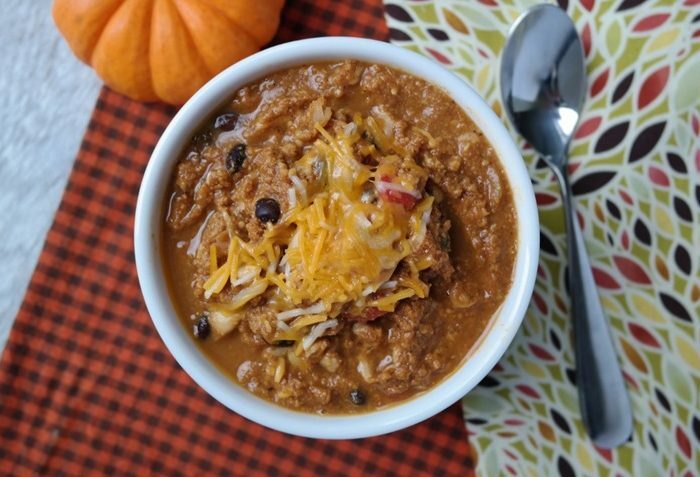 This dish literally screams fall! In a large pot on the stove top, saute bacon with onion until bacon is fully cooked and onion is soft and translucent. Pour in barbecue and marinara sauce as well as beans. Heat mixture until warm and delicious. 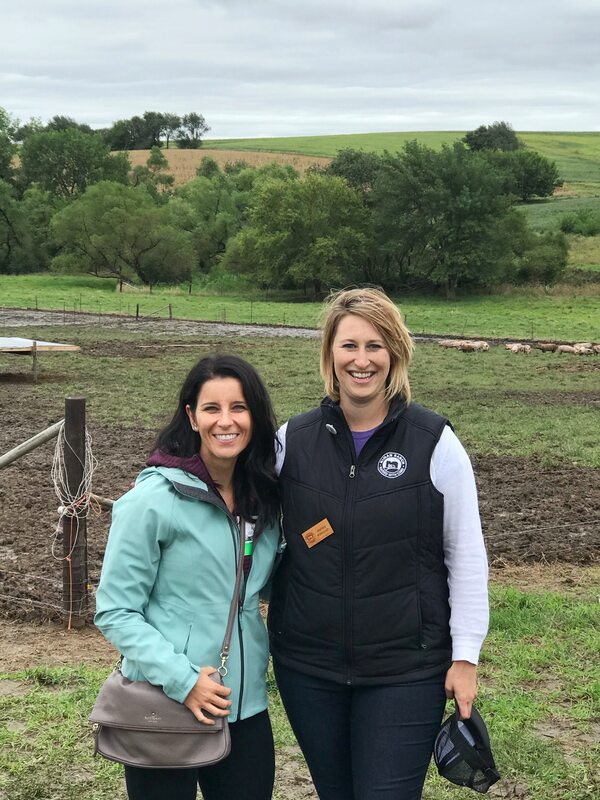 I’m so glad that I received the opportunity to visit Niman Ranch and witness firsthand all of the awesome ways they promote sustainable agriculture and humane treatment of their animals. I love that the organization is empowering the next generation of farmers to help them provide high-quality meats across the country. After all, doesn’t everything taste better with bacon? Hi! 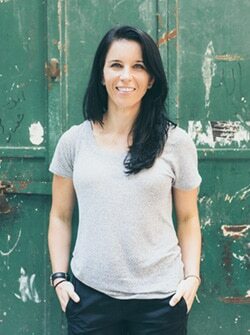 First of all I would like to say that I love your blog and have read it for years. I’m not trying to convince you to stop eating meat or anything, but even though the animals of this farm are treated better than standard farms, they are still killed and taken away from their parents. Research shows that pigs are as intelligent as 3 year old children. So I think that “humane” is a strange word to describe these type of farms. Yes. I applaud that they treat their animals better, but it’s far from humane. @Lauren: I agree, Lauren. I can’t reconcile cuddling a baby pig in one picture, following by a pig roast. 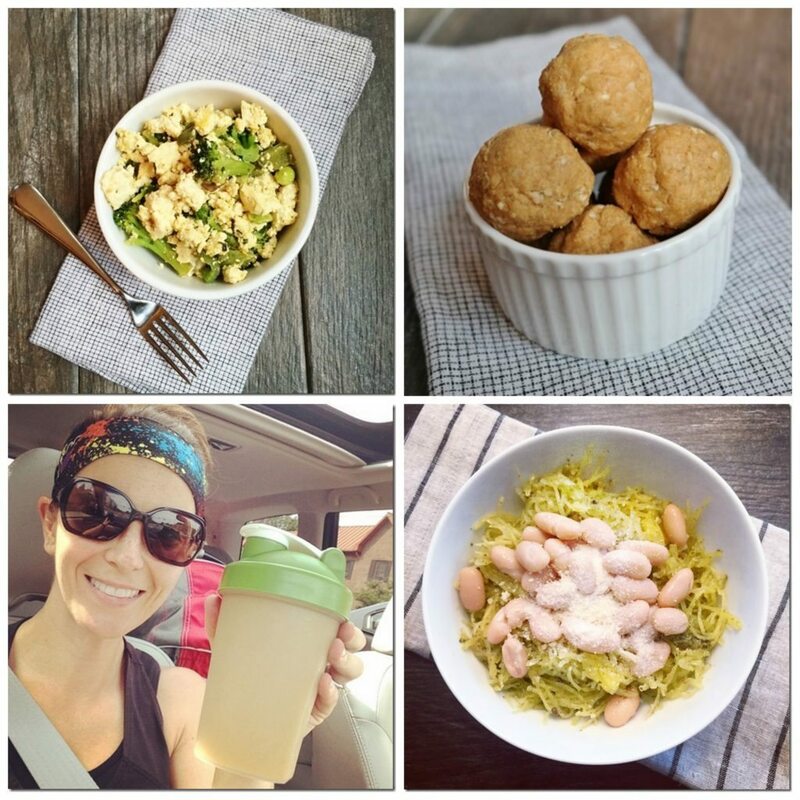 I try to follow a whole food plant based diet and have never been healthier! Thanks for sharing your trip! It was fun to see updates on Instagram (The piglets were just so darn cute!!) of you all at the farm and learn more. It’s nice to have farms and companies increase transparency.